Now's the time to stock up on Sprint Boosters. It's a perfect stocking stuffer you'll want to keep for yourself. The sale is good from November 22nd to November 26th. 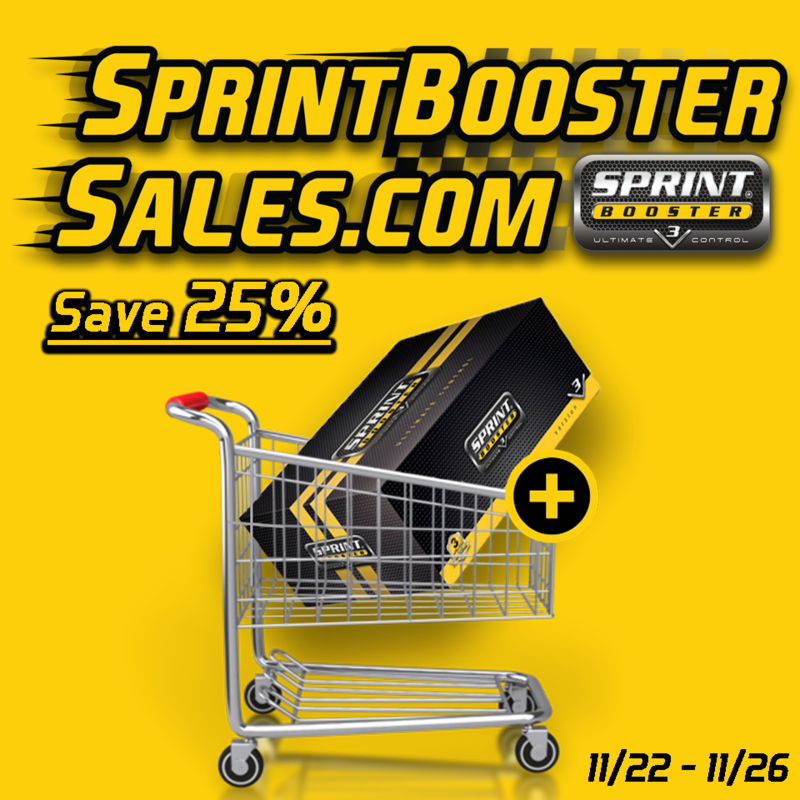 So, all you gotta do is simply find the Sprint Booster V3 that fits your car, add it to your cart then come back between Thanksgiving and the end of Cyber Monday and complete your purchase. When you do, you'll see the regular price of $289.99 will be automatically discounted down to $217.49. That's a savings of $72.50! Click here to find a Sprint Booster that fits your car. And hurry! Sale ends Nov 26, 2018.